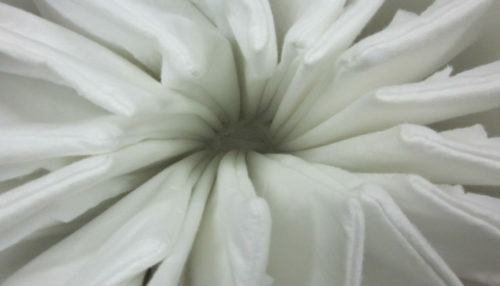 Star-shaped filters, round and oval thistle disks for brushes, diameter reductions in rubber, flanges for floor brushes, plugs for tangential intakes, intake seals, rubber strips for liquid absorbing floor nozzles, connectors and specially designed adaptors in steel and other spare parts for professional vacuum cleaners. 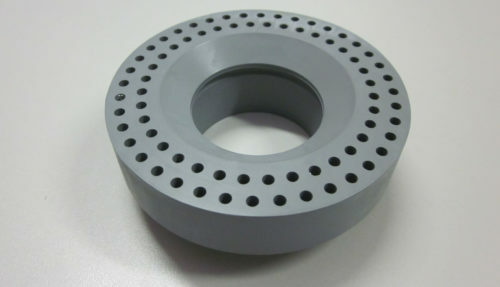 DUSTY – Replacement 40 mm diam. disk for SMALL BRUSH. 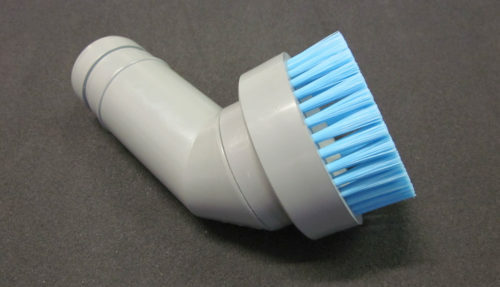 Version with nylon bristles. 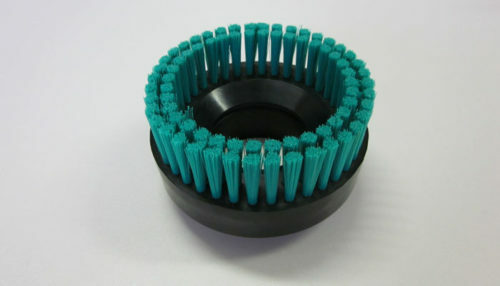 Other colours or bristles for foodstuffs applications available on request. BLUE DISK 100 – Replacement bristle insert, diam.100 mm for CURIOSITY brushes. Available in other colours and in FDA version for foodstuffs applications. Also available 80 mm diameter. WHITE DISK 100 – Replacement bristle insert, diam.100 mm for CURIOSITY brushes. Available in other colours and in FDA version for foodstuffs applications. Also available 80 mm diameter. CURIOSITY 80 GREY FDA – Round brush in FDA version with grey rubber and blue bristles. 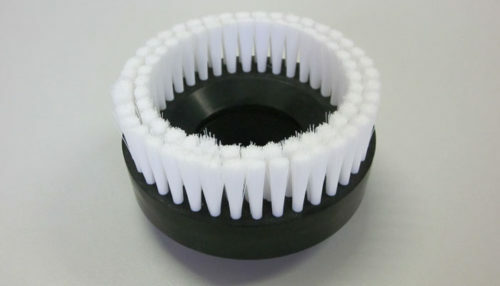 Also available with white plastic bristles punched on to 80 mm diam. disk. Internal diameter of handle 40 and 38 mm. GREY DISK – Round insert in rubber, without bristles, diam.100 mm for CURIOSITY brushes. Also available 80 mm diameter. 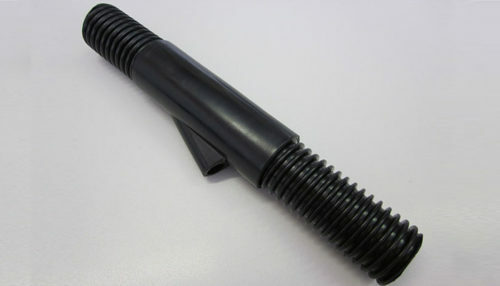 Can be supplied in black anti-static rubber on request. 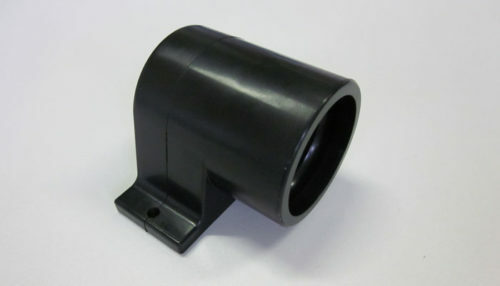 PLUG 45 – Rubber plug for air intake, available in various versions for holes of 50, 45, 35 mm diam. Can be supplied in other colours on request. THOR 32/29 – Sander cuff hose adapter d.32-d.29 mm with lateral duct for wire passage. Used on sanding machines. Other diameters are available on request. RED PISTOL FDA – Ergonomic pistol-shaped tool for suction in pharmaceutical premises. Sterilizable in autoclave and available in FDA silicone in other colours. 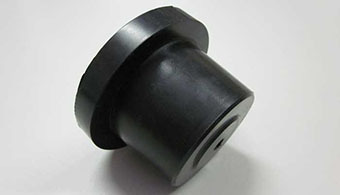 External diameter of handle 50 mm. Internal diameters 40 and 38 mm. GREEN DISK 100 – Replacement bristle insert, diam. 100 mm, for CURIOSITY brushes. Available in other colours and in FDA version for foodstuffs applications. Also available 80 mm diameter. 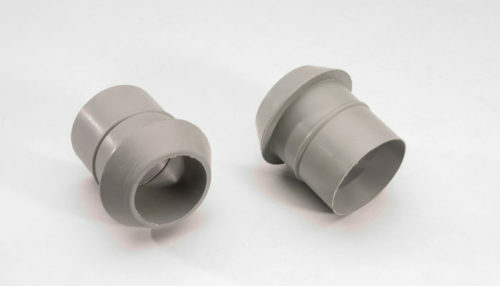 MUSHROOM- Adaptor 50 to 40 mm in grey rubber for accessories of 50 mm internal diameter. 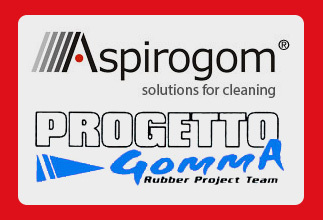 Also available in silicone or in black anti-static rubber. Can also be supplied in 38 mm version. STAR 8 – Star-shaped filter in PES, diam. 360 mm, 8 pockets. Available in various materials and diameters, also in normal bag version. 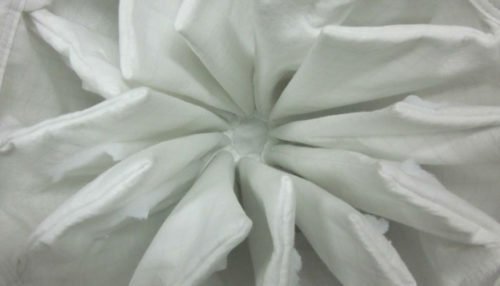 STAR 12 – Star-shaped filter in PES, diam.460 mm, 12 pockets. 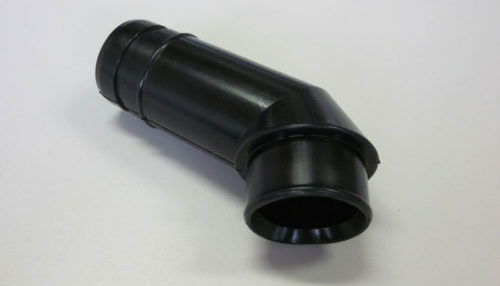 Available in various materials and diameters, also in normal bag version. 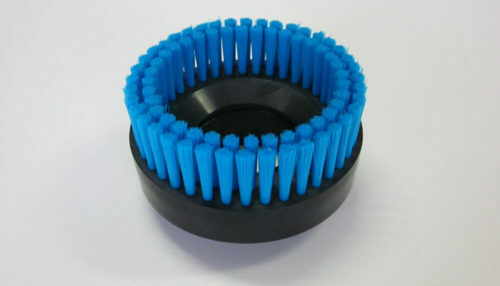 DISK 200 – Replacement bristle insert, 200 mm, anti-static for MATRIX brushes. 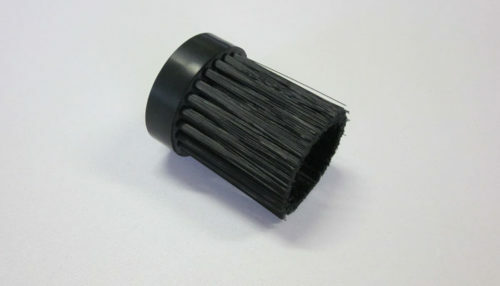 Also available in non anti-static version with bristles in plastic thread. 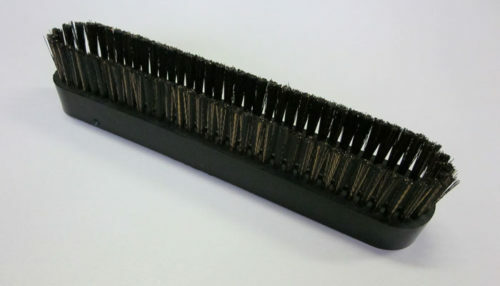 FLANGE 50 – Replacement shell in 90 Shore A anti-static rubber for PROMETHEUS brush. Sizes 50x70x100 mm. Also available in grey, equivalent to RAL 7040. HANDLE – Multi-use handle in black anti-static rubber for CURIOSITY brushes. Also available in grey rubber. Can be connected to 50, 40 or 38 mm diam. 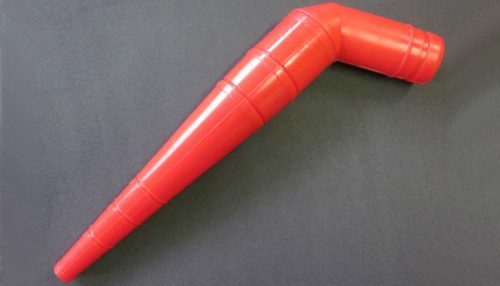 hoses.